The Conservation Management Plan was undertaken to guide conservation and future use of the School and its precinct. 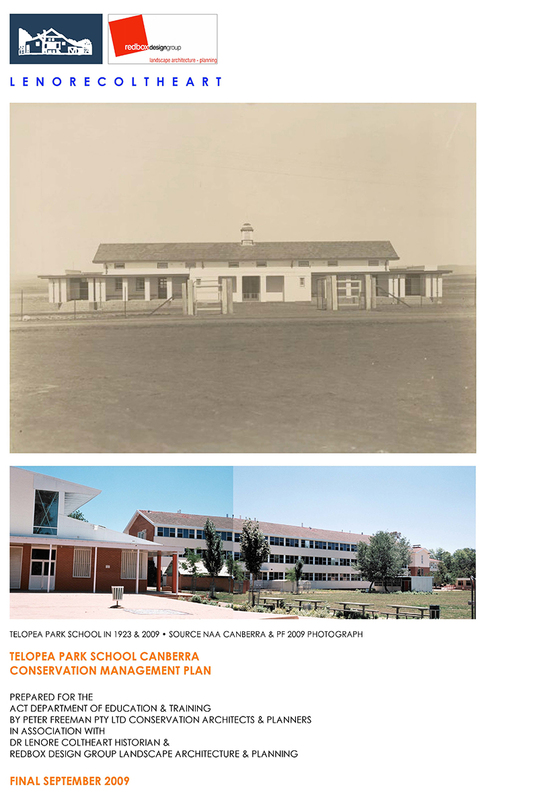 As a consequence of proposed minor works to Telopea Park School a Heritage Impact Assessment [HIA], was also prepared, which was a companion document to this Plan. The Plan was prepared in accord with the Australia ICOMOS Burra Charter guidelines for the preparation of Conservation Management Plans.